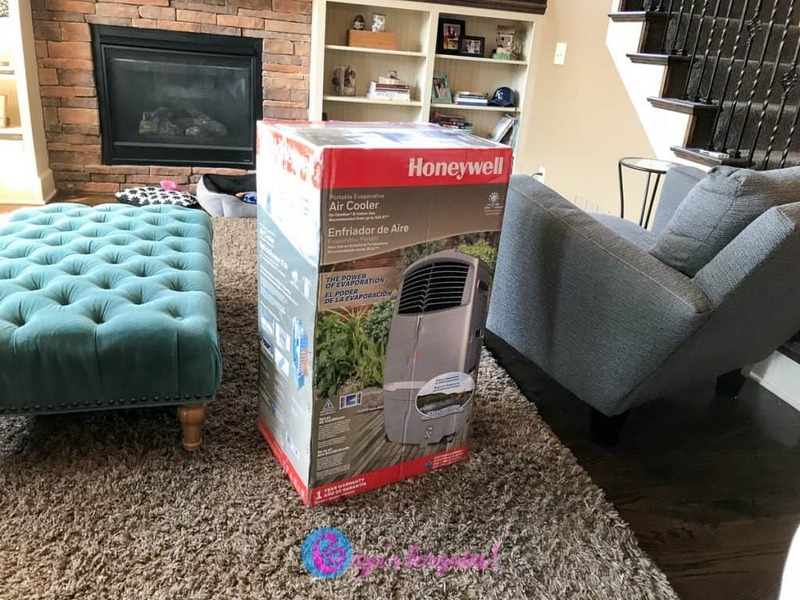 We were really excited to be sent the Honeywell 525 CFM Indoor & Outdoor Portable Evaporative Cooler with Fan & Humidifier, Carbon Dust Filter & Remote Control to review! It is September and I have my pumpkin decorations up but it is 90 degrees outside. 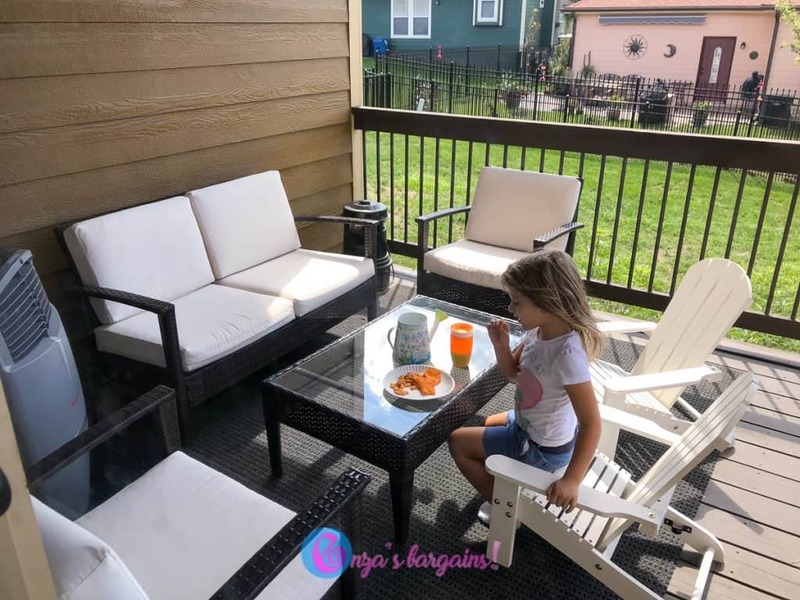 My family loves being able to enjoy our outdoor deck but it is HOT. The ceiling fan we have on our deck doesn’t make a difference when it is so hot outside. 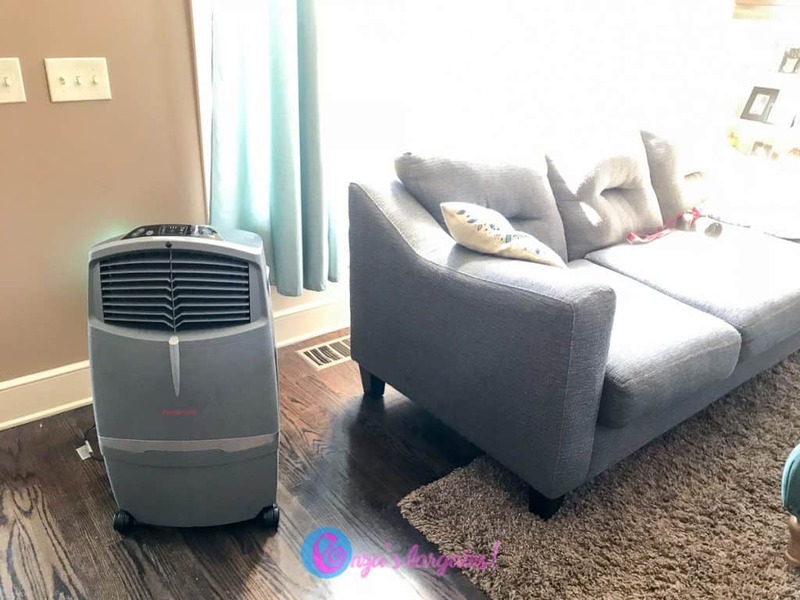 When we were asked to review the Honeywell Indoor and Outdoor Portable Cooler, the first thing I thought of was my classroom! Then after a couple of days, I thought that I really wanted to be able to enjoy our outdoor deck. I also loved the idea that if we needed to cool off but really didn’t need to crank the air conditioner on that this product would be perfect for that. Then I really sat and thought about the winter months. As an allergy sufferer, the end of September through November is one of the worst times of the year for my allergies. Right when I am ready to turn our air conditioner off, I lose all of the benefits of filtering out the air of allergens. I am excited to use this cooler just for the filtering affects in hopes that allergy season is just a little better. I might end up moving it up to my bedroom for when I sleep at night rather than just running the ceiling fan. This makes this product great for the winter months. It is a great size to use as a room humidifier! Our family wakes up with bloody noses because of the dry air. I am hoping this helps! Our family loved how easy it was to set up the product and we love the remote control! I was ready to sit in front of the instruction catalog for about an hour, but all I had to do was add water a little bit of ice (optional) and then plug it into the outlet! 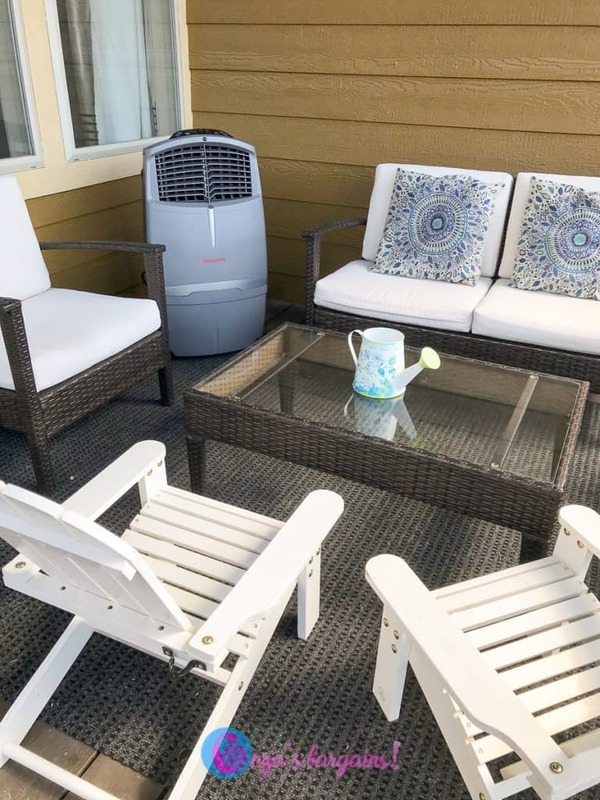 The Honeywell 525 CFM Portable Evaporative Cooler is not just a Fan – Air Cooler reduces temperature through water evaporation. Recommended for areas up to 320 Sq. feet. It uses super low power consumption, powerful airflow ideal for spot cooling small to medium spaces such as living room, bedroom, den, covered patio, garage.